Catering to a number of packaging applications, we bring forth a wide range of HDPE Woven Sacks. The HDPE Woven Sacks, offered by us, are available in a variety of colors and thicknesses. 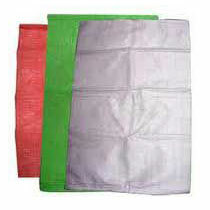 The HDPE Woven Sacks are made available as per the requirements of the clients. Our HDPE Woven Sacks are strong and cost-effective. We are a reliable name as HDPE Woven Sacks Manufacturer and Supplier in Umbergaon, Gujarat.